Good news GOG fans, Knights of Pen & Paper +1 Edition is now officially available on GOG with Linux support right away. It's good to see GOG continue to boost up their Linux compatible library. 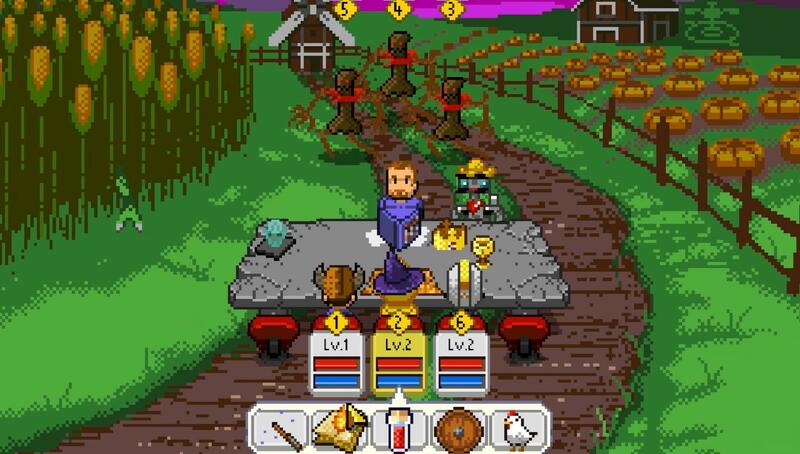 Find Knights of Pen & Paper +1 Edition on GOG now. I am a bit curious about this game, I tried it, but never figured out how we were supposed to play it. Is it for playing with friends? Like a RPG but computer assisted? In that case the game master doesn't have enough planning or freedom, I think. Or is it for playing alone and choosing your enemies, etc? In that case, wo_hoo. It would just be boring, I think. So, I am genuinely puzzled, can someone enlighten me? MyeulC I am a bit curious about this game, I tried it, but never figured out how we were supposed to play it. You chose enemies you fight after you complete all quests it becomes boring because only interesting part was reading game masters comments and pop cultural references. At the end game becomes grind fest that's why I did not finish it. It's a fun game and I think I have about 30 hours in it. Where it really shines though is on mobile. Perfect for 10 minute gameplay sessions.